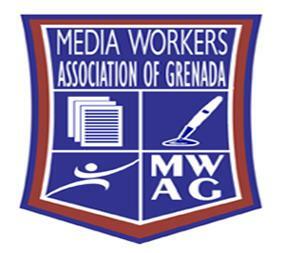 It has been brought to the attention of the Media Workers Association of Grenada (MWAG), a video circulating on social media involving a female member of the profession was allegedly assaulted while carrying out her duties on Wednesday, 7 March 2018. MWAG condemns the action against the journalist and calls on the relevant authorities to undertake a speedy investigation into the matter. The action to prevent the journalist from doing her job must be condemned without reservation. MWAG therefore calls on all politicians and their supporters to conduct themselves with civility and abide by the Constitution which guarantees the freedom of the media and democracy in general. MWAG also calls on media workers to remain vigilant and report any incidents that are deemed obstructive in carrying out their duties.